I love a good bath, but as a mom of two very young children, I rarely take the time to fill up the tub and relax a bit. In the last few months of my pregnancy, though, I found them to be absolutely essential. 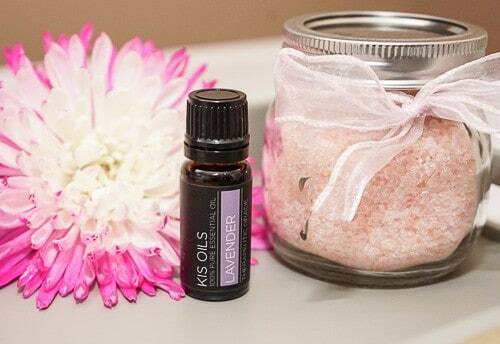 And this super easy, calming DIY bath soak will take your bathing experience to the next level. When I was about 6 months pregnant, my brother and his girlfriend gave me an essential oil diffuser and a starter set of essential oils. I had recently mentioned that I had been wanting to get some oils, but had just not spent the money yet. A few days later, the diffuser and oils were sitting in my lap. How awesome is that?! It was a wonderful surprise, and I immediately started putting it all to good use. 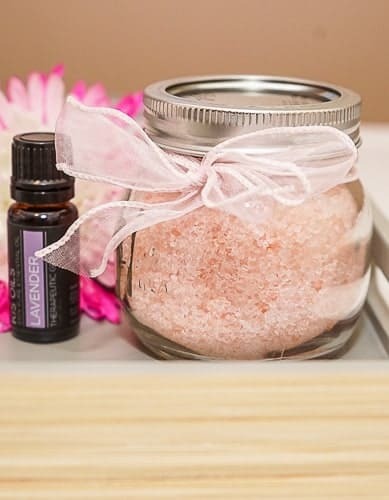 Earlier in the year, I made an essential oil bath soak with one of the mom groups that I am a part of. I don’t remember the exact recipe we used in the group, so I just made this one as simple as possible. Since I was pregnant at the time, I had to be careful about which essential oils I chose to use. Lavender is one of the safest oils, and is generally considered fine during the second half of pregnancy. It is known for it’s calming and relaxing effects. I also decided to use epsom salt for my soaks. Epsom salts are known to help relieve aches and pains, which was something that I definitely needed during third trimester, as well as postpartum. 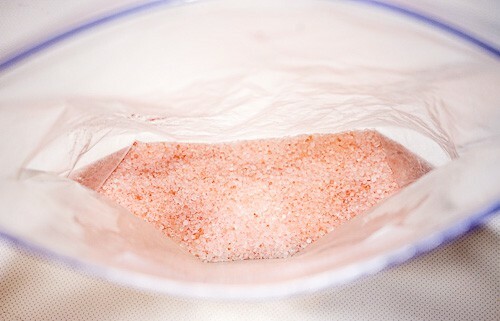 Take a large ziploc bag, and dump 1 c. of epsom salt into it. 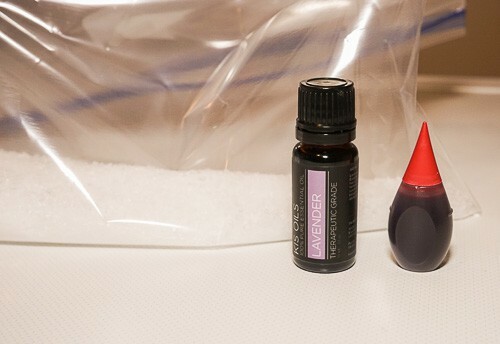 Add 10 drops of lavender essential oil, and 2-4 drops of food coloring. (The food coloring is totally optional. It will turn your bath water a lovely color, though. 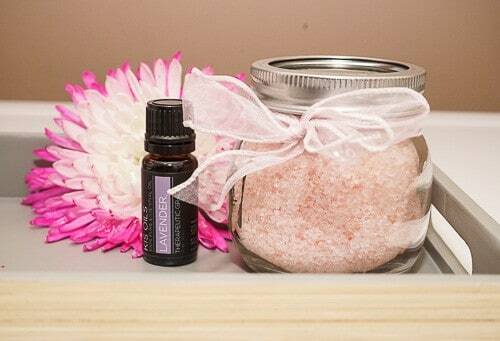 It also makes this bath soak an easy and pretty gift.) Seal the bag, and work all of the ingredients together with your hands. Once the color and essential oil is thoroughly mixed in, transfer to an airtight container, and you’re done. It is a great way to unwind at the end of the day, ease your sore muscles, or just simply pamper yourself a bit, whether you are pregnant or not. And, as I just said, it would make a wonderful gift, and could be customized for just about anyone. This makes it easy to pamper yourself and someone else. Enjoy! What a great gift idea! I love the little mason jars. I’m a big fan of essential oils. 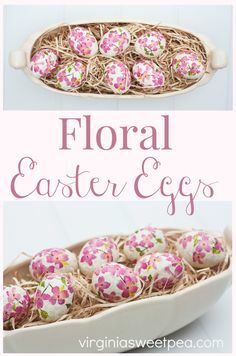 I definitely need to make a few of these. Thanks for sharing! Amy I haven’t had a bath in I can’t even remember when. Your bath soak is so simple to make how can I not. And mys on just bought me a big bag of Epsom salt. Now I have no excuse not to take a nice relaxing bath. Oh my goodness, Mary. I don’t think there is ever an excuse not to take a bath! (Ha! If only I followed my own advice on this one.) I love Epsom salts, though, and almost always use them in the bath. 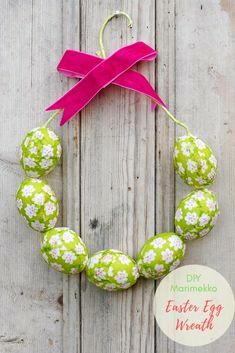 This is such a fun way to dress them up and add to the relaxation. I hope you enjoy! I’ve made something similar, but added some dried lavender petals. Even if you just soak your feet in some bath salts and warm water, it will destress you greatly. Oh, dried lavender petals sound heavenly. And you are so right. It’s such a great stress relief to even just soak your feet. Always a fantastic self-care activity. Thanks so much for stopping by! I can smell this through the computer screen, and I’m picturing myself relaxing in a nice warm bath. I can relate to not having the time to fill up the tub and enjoy a bath. As women, we need to find the time to do that. I love that your recipe is so simple. This would make a great gift too. Thanks for sharing on Sunday’s Best. We do need to find the time! It’s so essential to be able to relax and destress a bit. Hopefully you can find some time for yourself soon, and whip one of these up for yourself. 🙂 Thanks for looking! Haha! Yes, no calories – total bonus for Valentine’s Day. 🙂 Thanks so much, and have a great weekend!